It's a real bargain at only £5.00 - 20% of the actual price! 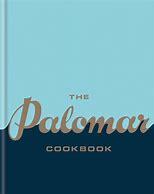 The Palomar Cookbook, normally £25, is available at this staggering price at The Works now. Although published in 2016, this beautiful book is still very much up-to-date - pulling all the traditions of the Mediterranean, The Palomar Cookbook is a guide to recreating the intense and evocative flavours of the exotic. 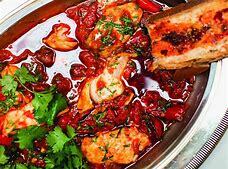 Like me, you can enjoy more than 100 recipes from the award-winning, Palomar, with dishes from modern-day Jerusalem, inspired by the rich cultures of Southern Spain, North Africa and the Levant. Nigella Lawson called the book, 'Gorgeous', while food critic Giles Coren described it as ' Middle Eastern fireworks'. 'What's in the Cupboard?' - Essential ingredients and spice mixes. 'The Meal before the Meal' - Spiced Olives with Rose Petals and Balsamic Vinegar, Cured Lemons, Velvet Tomatoes, Beetroot Carpaccio and Baba Ganoush. 'The Main Act' - Cauliflower Steak with Labneh and Grated Tomatoes, Polenta Jerusalem Style, and Pork Belly with Ras el Hanout. 'For Those Who Want to Kick Back' - Drunken Botanist Bishbash, Posh Wash and Sumac-ade. The recipes are clearly laid out with a list of ingredients and with accompanying photos of the finished dish, There are also step-by-step pictures of the Jewish chefs demonstrating the most unusual processes. The hundreds of photos are colourful vibrant and inspire you to 'just want to cook'. The Palomar restaurant opened to critical acclaim in summer 2014 in London's Soho district and has collected a host of accolades ever since. The intimate 34-seat restaurant offers mind-blowing food drawn from family traditions, influences, encounters, places travelled to and places evoked by their flavours alone. This book published by Mitchell Beazley is a must for every kitchen. At the substantially reduced price of £5.00 at The Works, this offer cannot be missed. Get it online now!